Next week, Lord willing, OGC will take in a dozen new members. Note: for a biblical defense of the concept of church membership click here. We praise God for the new bunch of folks He has brought into our fellowship. Each of these saints has attended our membership class. They have completed an extensive application and submitted to an interview with two of our officers. They have been approved by the elders in a formal motion at a business meeting and so noted in the minutes. And without exception, each has signed a dated covenant of membership. Copies of that covenant will be made available in the service next Sunday for every member to reaffirm the commitments that come with belonging to a covenant community of believers. The question I wish to address in this post is why insist on members of a local body signing a membership covenant? Answer? INFORMED CONSENT. What in the world is that? Informed consent is documentary evidence of a church member’s familiarity with the teachings, policies, practices, and requirements of participation in the community and most importantly their agreement freely and willingly to abide therein. Why does that matter? Many reasons, but none more important in our litigious age than in the matter of church discipline. The reason, among others, that there is a covenant of membership on file in our office with my name and date on it is because I don’t trust my own deceitfully wicked heart (Jer. 17:9). Should I wander off into unrepentant sin, perish the thought, I want my elders and church to come after me with the full force of Matt. 18:15-20, Gal. 6:1-2, and a bunch of other texts aimed right at that heart. Furthermore, I don’t even want to be tempted in the event of such an unfortunate set of circumstances to entertain the idea of suing my church for slander or some such nonsense. Having given my informed consent in the way of a covenant of membership assures that OGC doesn’t have to think twice about even excommunicating me if necessary for fear of an expensive and damaging lawsuit, not to say the havoc such a thing would bring upon the peace and welfare of the church. Church membership is generally viewed by the courts as being a matter of contract, whereby members freely choose to associate with a particular church community and in doing so accept the benefits and duties of that association. The membership process provides an ideal means to obtain informed consent to a church’s policies and practices. Informed consent is easier to prove if you establish membership in a clear and explicit manner. 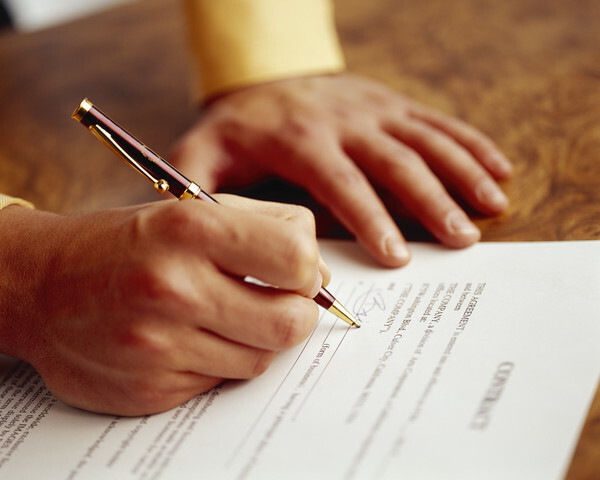 Further evidence of express informed consent may be obtained by requiring new members to sign a written commitment to membership, which includes a specific reference to having received a copy of the Relational Commitments and to being willing to support and submit to them. The entire article is worth your time and effort. To read it click here. Have you thought about this as a professing Christian? It matters a lot to your spiritual welfare and that of the church to which you belong that you do think long and hard about it and that you give your informed consent for the glory of God, the welfare of the church, and the good of your soul.